Tamarind Extract: (Tamarindus Indica) The Tamarind plant originated in Africa but has become very popular in South Asia and internationally recognized as an ancient medicinal food that packs a punch with its many benefits. Tamarind is filled with nutrients and antioxidants; for every 100 grams of tamarind the human body can absorb 36% of the thiamin, 35% of the iron, 23% of magnesium and 16% of the phosphorus recommended for a day's worth of nutrition. Additional present nutrients include niacin, calcium, vitamin C, copper, and pyridoxine. The Tamarind also contains high levels of tartaric acid which works fueled by powerful antioxidant action that zaps harmful free radicals. Other phytochemicals that add to the flavor and healing properties found in tamarinds include: limonene, geraniol, safrole, cinnamic acid, methyl salicylate, pyrazine, and alkyl­thiazoles. Tamarind extract is used for wound healing, has anti-venom properties and is an antimicrobial. Tamarind is optimal for skin as it is used to treat burns and prevents edema. In addition, it leaves your skin able to maintain a healthy, beautiful glow. 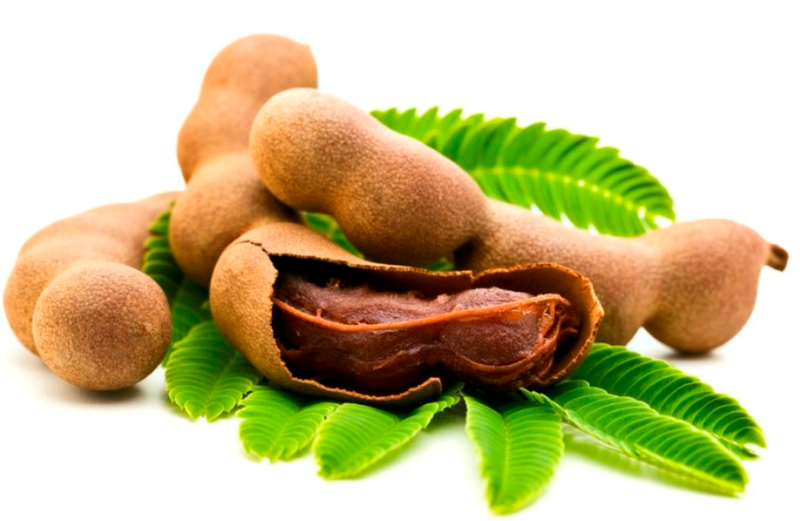 With enzymes, antioxidents and alpha hydroxyl acids that remove dead skin cells, Tamarind is a true natural miracle!